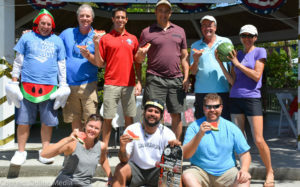 In July 2017, then Safety Harbor City Commissioner Scott Long organized a watermelon eating contest featuring nine contestants that raised more than $8,000 for various local charities, spawning the idea of going for a Guinness World Record on the second anniversary of the Melons for Moolah event. In March 2018, Long lost his commission seat to Nancy Besore. But despite the narrow defeat, Long vowed it wouldn’t prevent him from attempting to set the record—and raising even more money for charity—this summer. “I plan to serve Safety Harbor in many capacities now that I’ll have about 40 hours of free time on my hands every week,” Long said after the election results came down on March 13. 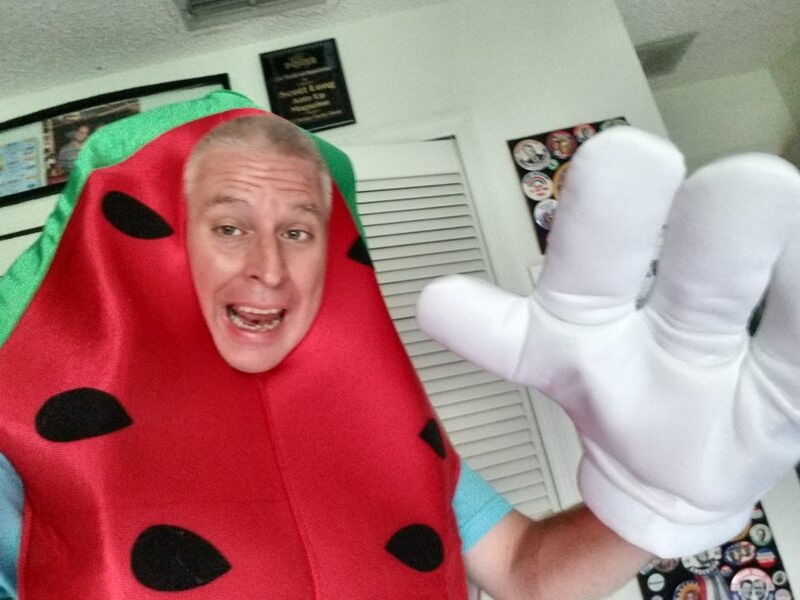 The colorful founder of an online poker magazine and recent Safety Harbor Connect contributor hopes to break the record for most participants in a watermelon eating contest on Sunday, July 1 at the Waterfront Park. But what he really hopes to do is raise a ton of money for a bunch of charities and bring a lot of attention to his beloved Safety Harbor community. Scott Long founded and competed in the inaugural Melons For Moolah charity eating event on Sunday, July 7, 2017. “Just like our inaugural event last year, the goal is to raise a lot of money for area non-profits while enjoying a fun, community event,” the self-proclaimed ‘Chief Melon Officer’ said via email. Long explained that all participants and volunteers are being asked to join the group fundraising team on MightyCause.com, where they can choose any public 501(c)(3) non-profit organization to support, and then encourage their friends and family to donate to that cause. All donations go straight to the chosen organization, minus a modest processing fee from MightyCause, which donors can elect to cover, he said. Long added that for anyone who wishes to be involved with the event but not participate in the contest, they are looking for 30-50 volunteers to fill positions like stewards and judges. 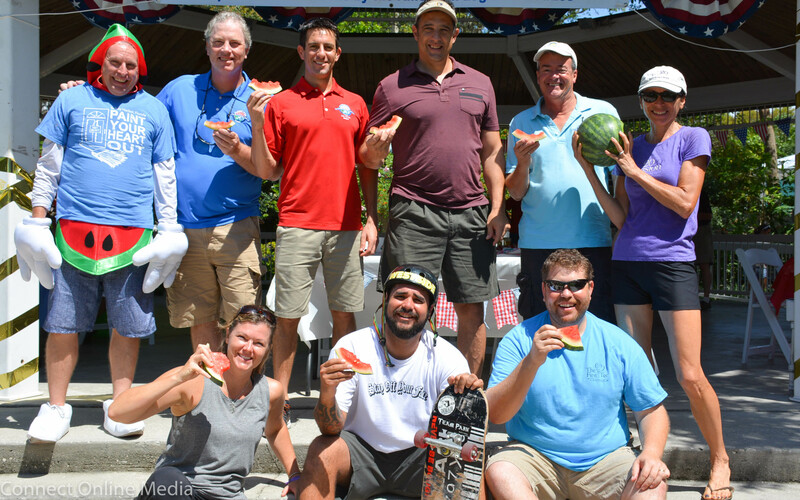 The inaugural Melons for Moolah event in July 2017 saw nine Safety Harbor officials and employees raise more than $8,000 for various local charities. 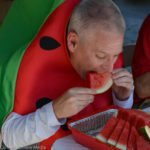 He also noted the contest is not a “gorge yourself” event; instead, each participant will get one plate of watermelon, and the first to finish in each group of 18 contestants will advance to the finals. “The first person to finish the tray of melons in the final round will be declared the 2018 Melons for Moolah champion!” he said. While he hopes to attract the 200 participants necessary to set the world record, Long said the event is really about raising as much “moolah” as possible for several charitable causes. WHAT: Melons for Moolah, an attempt to break the Guinness World Record for “Most Participants in a Watermelon-Eating Contest” and raise money for various charities.